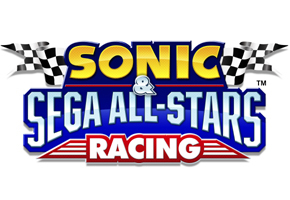 Maybe it was for the better we didn’t see all of the Nintendo Power article for Sonic & Sega All-Stars Racing last week. Depending on your point of view, the information learned from the rest of the preview is either a blessing, a curse, or both. Sonic Stadium forumer Emerl scanned the preview in full from the December edition, and we have it for you below. First, the good news: We will definitely see a Monkey Ball and Samba de Amigo themed track, according to the article, and Final Fortress from Sonic Heroes is a confirmed track, as is Curien’s Mansion from The House of the Dead. You can actually see what appears to be a scan of that Monkey Ball stage on that third page. But here’s where it gets hairy–the article also notes that there will be single player missions in the game. Not just some–“more than 50,” according to the article. The tasks don’t seem that fun, either–the article cites a few ranging from the mundane to the potentially frustrating, including “collecting rings, “taking out a number of enemies within a time limit,” and perfect runs through courses. Not made clear in the article is whether the completion of these tasks will be required to unlock additional modes, characters, courses, or secrets in the game. If it is, that may not be a good thing, especially for those hungry to jump right into multiplayer modes. Check out the scans below, and sound off on whether the new information changes your opinion on ASR in the comments section.